I was sitting with a group of people years ago for a healing practice, and I suggested naively that we breath suffering into our hearts and then breath out happiness. They were horrified. Why would I do that?? I let them know that it is a Buddhist practice, in fact, perhaps the heart of Buddhist practice, and explained as best I could how it is practiced. They were not convinced, and not willing.I have not been a consistent practitioner of Tonglen, and yet it is always near me, a profound possibility. When practicing Tonglen, I experience an opening in my heart, and I sense that this is the ultimate purpose of our Heart, to take in suffering and transform it, generating a deep, causeless joy that flows outwards with the breath. Flows outward, meaning that it is not hoarded and kept only in my heart. I suspect that when I am not partaking in a disciplined practice of Tonglen, the suffering, the pain, the negativity could find a camouflaged place in me to hide, and take hold in the background. I would then experience the secretion of this accumulated negativity. If this is so, why then are we cautious of holding another’s pain, negativity, and suffering. Perhaps it touches too closely what we might feel within ourselves as well, despite our massive efforts to pursue pleasure. In practice, I recall a feeling of the suffering being embraced by the heart, held gently and then dissolved, liberated. the more goodness there is to breathe out. 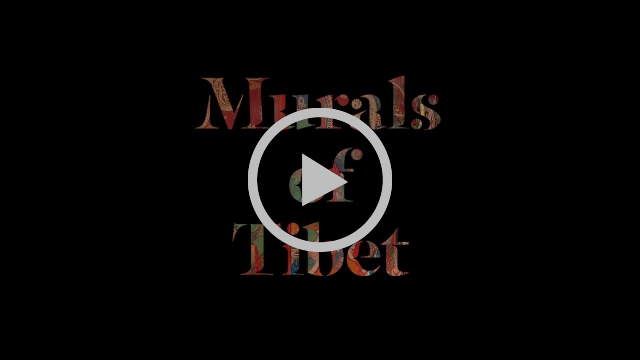 On July 7 Thomas Laird will present Murals of Tibet, to the public in New Orleans for the first time. He has been on tour with the book in Europe and Asia since first copy was presented to His Holiness the Dalai Lama, in India, four months ago. For more than a decade, New Orleans based photographer Thomas Laird traveled the length, breadth, and far-flung corners of Tibet’s plateau to capture the land’s spectacular Buddhist murals in all their sublime vastness, intricacy, and their spiritual, emotional, and psychological enrichment. Deploying new multi-image digital photography, Laird compiled the world’s first archive of these artworks, some walls as wide as 30 feet, in life-size resolution. TASCHEN’s breathtaking publication, Murals of Tibet assembles Laird’s portfolio in extra-large format—29×19 inches– with six fold-outs, printed in five colors including gold. Featuring both complete murals and copious details, it immerses readers into these precious, extraordinary masterpieces. This rare two volume, 1,025 pg. work, in an edition of only 998 copies, on a table by Shigeru Ban weighs 130 pounds and is available at 13 TASCHEN galleries worldwide, but not in New Orleans except through the TASCHEN website. Stay tuned for date announcement! This small-group adventure to visit Tibetan Refugee settlements in Northern India will provide a foundational understanding of mindfulness meditation in the tradition of Tibetan Buddhism. The core concepts of Tibetan Buddhism and culture will be explored through readings, lectures, site visits, and discussions. The group will meet with a wide array of teachers and lay persons living this ancient tradition. Neil Guidry is a founding member of the Louisiana Himalaya Association, established in 1997. He has lived and worked with the Tibetan community in northern India for six months each year since that time. Neil has now been the main guide and a lecturer for over 50 groups to India. Over the past 12 years his courses at Tulane and these India groups have focused on Mindfulness, Meditation, Buddhist practices & Global Social Work with Tibetan Refugees. The host organization for this trip is LHA Charitable Trust in Dharamsala, India, where he serves as Advisor and Consultant. Venerable Tsering Phuntsok is one of the 250 monks of Palyul Nyingma Monastery. He specializes in Sacred Lama Dance and Ritual Ceremonies. His main position for the monastery is overseeing the general health of the monks. Tsering has assisted Neil with international groups since 2002. He speaks fluent Tibetan, English, Hindi and Nepali. His happy demeanor paired with a vast knowledge of the cultures and traditions of the area make Tsering the perfect guide. “In order to have compassion for others, we have to have compassion for ourselves. which is free of all suffering!